Growth seen on rocks and the trunks of trees commonly growing in flat greenish, gray, brown, yellow or black patches. Lichen consists of two separate and different microscopic plant forms - algae and fungi that live together in a symbiotic relationship. The fungi absorb and conserve moisture and provide shelter, without which the algae cannot live. The algae conducts photosynthesis as it grows and provides protein for the fungi. 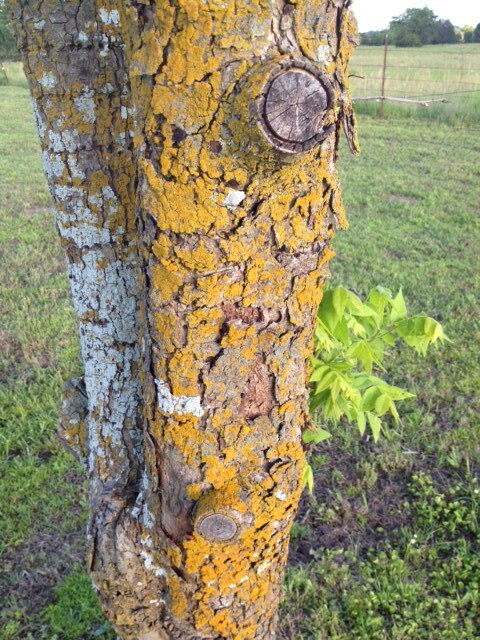 Lichen’s are generally not harmful and mostly beneficial.